Picture from group : Mount Eagle from Birreencorragh Sth, Glennamong on skyline. Picture: Mount Eagle from Birreencorragh Sth, Glennamong on skyline. Small hill with good views. This is a fairly small summit crowded by the Birreencorraghs to the east and Buckoogh to the south. 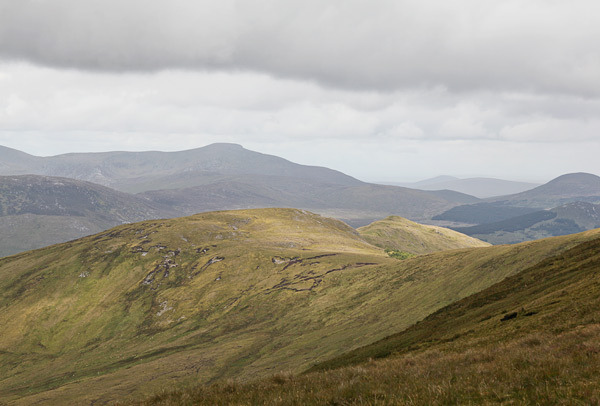 Nevertheless it has good views to the western Nephin Begs. It can be reached from Buckoogh (keep west of the forestry) or as part of a visit to the Bireencorraghs.